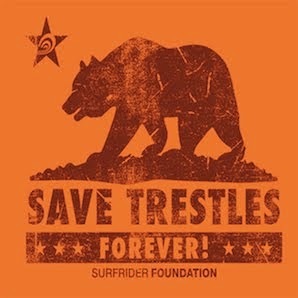 The Surfrider Foundation is working to protect our coastal state parks. Besides stopping a toll road from running though San Onofre State Beach, we believe our park system needs to be protected from development, neglect and underfunding. State budget cuts are causing our parks to 'fall behind in the system'. Our precious parks are struggling financially and they need a stable funding source to ensure they remain safe and healthy. 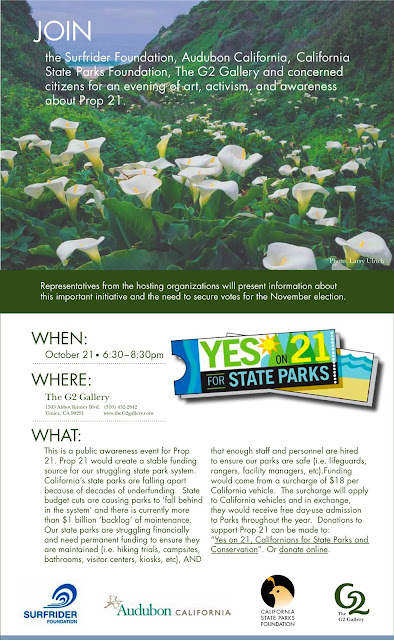 Learn more about how Prop 21 can help and why Surfirder is supporting this initiative! Join us Oct 21, click here for official invite. Go here to learn more about Prop 21 in general.